20:20 Online Print Gallery – Now Live! We are proud to be launching this year’s 20:20 Print Exchange at Hot Bed Press. This year we had 39 workshops take part with over 500 artists submitting their editions of 25 prints! You can view the complete collection here on our flickr site and decide which ones you like the best! Just copy and paste the address into your browser. Our eagerly anticipated Under-The-Bed Sale will take place on Friday 2nd December 6pm – 9pm and Saturday 3rd December 11am – 4pm. This is our annual Christmas sale with hundreds of prints for sale from £5 to £50, thousands of prints in fact. We also launch our 20:20 Print Exchange by selling all the number ones from last year’s exchange for £10 each, as well as a huge selection of past 20:20 prints. There are plenty of bargains to be had and a wide range of prints from screenprints, etchings, collagraphs, relief prints, photo-etchings, letterpress, book arts and much more. This is your ideal stop to get all your Christmas presents. We will also be opening up the first floor into the old Cow Lane Studios with artists’ stalls selling an exciting range of prints and printed goods. Come and buy direct from the artists. Tell your friends and help to support Hot Bed Press. 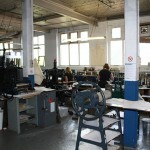 All money raised goes towards new equipment at Hot Bed Press as we split takings between Hot Bed and the artists. Every January we purchase some new kit to improve the facility. It’s a really exciting time for us as we improve and grow this wonderful workshop. Manchester Artists’ Book Fair is coming up! Dear friends and members of Hot Bed Press. This weekend we will proudly be running our annual Manchester Artists’ Book Fair at London Road Fire Station, by Piccadilly Station. Running as part of Manchester’s Design City Fair there will be lots to see and get involved in, including a great array of demonstrations and workshops. Have a read and hope that you can make it down to the event. Autumn Winter Courses Now Live on the Website – Click to Book! We are very excited to announce our courses for Autumn and Winter 2016 and have been working hard to put on a diverse range of workshops to suit various experiences, abilities and taste. We are proud to say that we never run two programmes the same and always have something new on offer. This time around we are delighted to have Xtina Lamb showing the wonders of Gocco and Thermofax printing as well as Jason Hicklin bringing his immense knowledge of etching. 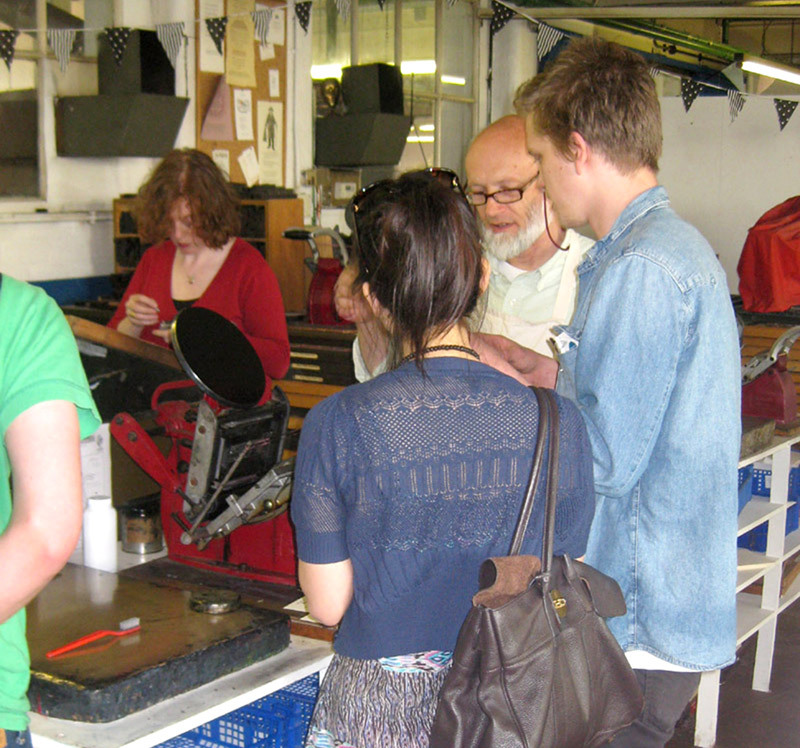 New to Hot Bed Press we have Level 2 Screenprint and Block Books/Xylographica as well as CMYK Screenprint back as a weekend course following on from a successful first outing in our Summer School. There’s lots more besides. We’re super excited to be exhibiting this year’s Buy Art Fair where this year we are also going to be running print demonstrations again in a large project space which we will transform into a fully working print studio over the four days of the exhibition. We will be stand number 118 so come find us and maybe treat yourself to a beautiful hand made print from one of our very talented artists. 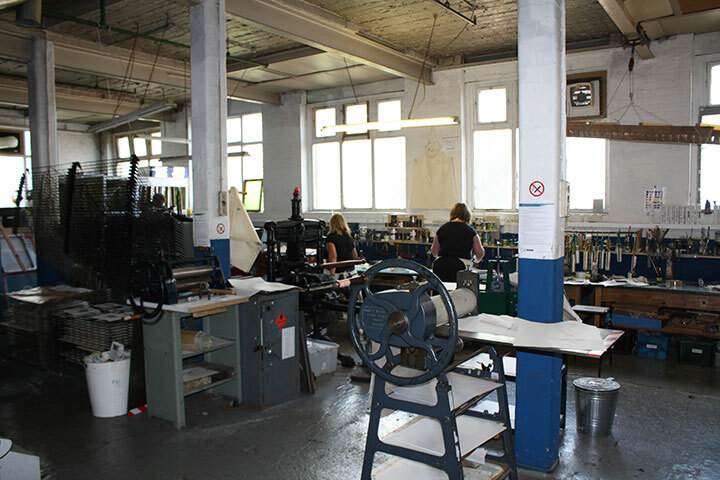 Hot Bed Press members, get your work to us as soon as possible. The cut off date for submissions is 16th September. Framed work should be dropped into the office and we have paperwork for you to complete. We are really excited to announce that bookings are now open for The Complete Printmaker, Complete Book Artist and Complete Letterpress Printer 2017! Thanks to everyone for your patience in getting this together and we’re pleased to be taking bookings for next year’s year long workshops. We will also be running a second Complete Letterpress workshop in the new year which will run on Wednesday evenings as well as running the daytime class on the Thursday mornings. Reservations are already coming in so if you have been thinking of signing up for next year, please call us at the workshop and we can reserve a place on one of the workshops for you. Flexible Payment Plans are available, just call the workshop on 0161 743 3111 and speak to Andy Magee our Operations Manager. Hot Bed Press member and tutor David Armes was artist-in-residence at Huddersfield Art Gallery during June 2016. The residency was part of the gallery’s collaborative ROTOR series with the University of Huddersfield’s School of Art, Design and Architecture, with Leeds-based East Street Arts as a third partner. The work David produced was part of the Open House project and now forms an exhibition at the gallery that opens on 7th July, running until 27th August. Responding to the theme of ‘wayfinding’, the work takes interactions with people around the town and gallery as a starting point and explores notions of place, space and ‘the accidental conversation’. All the work was produced on three Adana 8×5 presses that David installed in the gallery space for the residency. Inspired by the show? 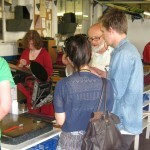 David is running a workshop at Hot Bed Press in Expressive Letterpress on the 6th and 7th August. Call me at the workshop on 0161 743 3111 to book your place. For the attention of HBP members and friends, our Annual General Meeting will be held Weds 8th June at the workshop with interested members to present The Artistic Director’s report and the financial report, along with minutes of the last AGM, and the accounts for the previous year’s business. The AGM is also a chance to nominate new Board members, meet the current Board and to have your say on how things are run. The Board is made up of HBP members and other professionals. We are looking for new potential people to come and play a vital role on the Board of Directors. Anyone can be a Board member, you do not have to be a Hot Bed Press member. We are looking at securing our future in the Casket Works with a view to long term security and expansion. As such we need a variety of skills on the Board to drive this forward. Hot Bed Press is proud to announce our latest print spectacular. This is our biggest Summer programme to date and incorporates a special summer school of print, taking over the workshop for 2 full weeks and 3 weekends with some incredible guest tutors and tantalising techniques, plus our own staff will all be offering some of their expertise in their particular fields for intensive week long courses giving a real opportunity to learn, explore and develop new work. 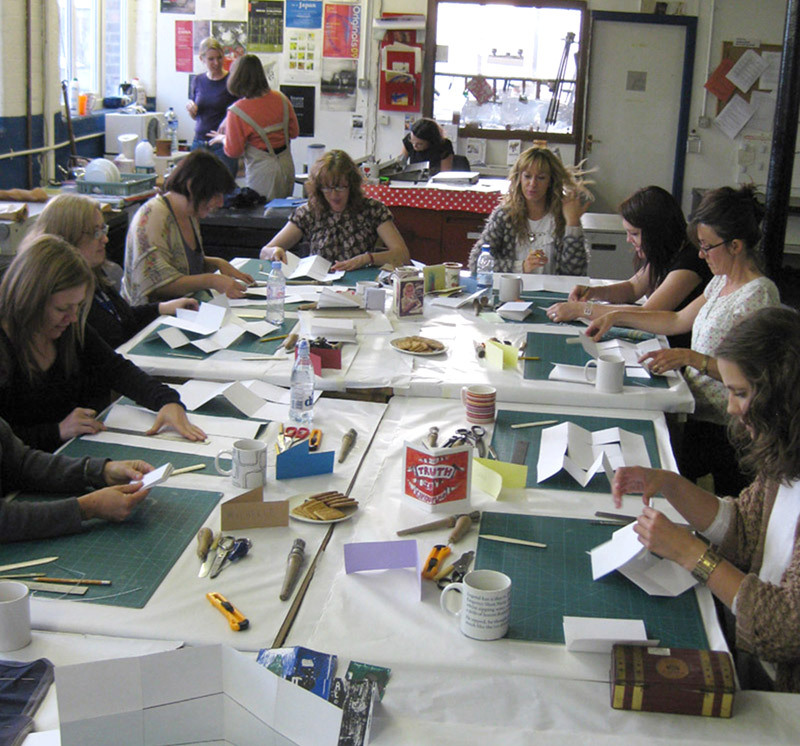 We are taking over the whole of the workshop for the first 2 weeks and 3 weekends in August. 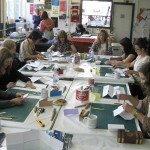 As well as guest tutors our expert staff will be leading the 5 day/weekday workshops demonstrating the breadth of their knowledge and enthusiasm for printmaking. Suitable for beginners and those wanting a full refresher each course will go into more depth than ever before on each process and bring in more advanced and involved ways of working. Check the courses tab to book your place!